Hi everyone! Here I’m posting some of the material that Esteban (ilesteban.wordpress.com) and I created over the last year about Drools Expert. Esteban and I will be posting some slides and hands on labs that we have. This training course material was created under the sponsorship of Plug Tree and if you want us to give you and your company some on site workshops we will be glad to help you. All the material provided here is under the Creative Commons License and our main idea is to improve it over the time in order to make the project easy to understand and to learn. Feel free to join us in this journey, we will be waiting feedback, questions and criticisms! Feel free to suggest us extra modules. We tried to cover all the things that we consider important to cut the learning hype. We try to cover all the topics required to understand how to solve problems with drools expert, after you understand that, you can tackle down new problems alone. We are right now deciding where the post will be published and where the example project will be hosted but stay tuned for more updates! Disclaimer: Plugtree is not affiliated with or sponsored by Red Hat®. 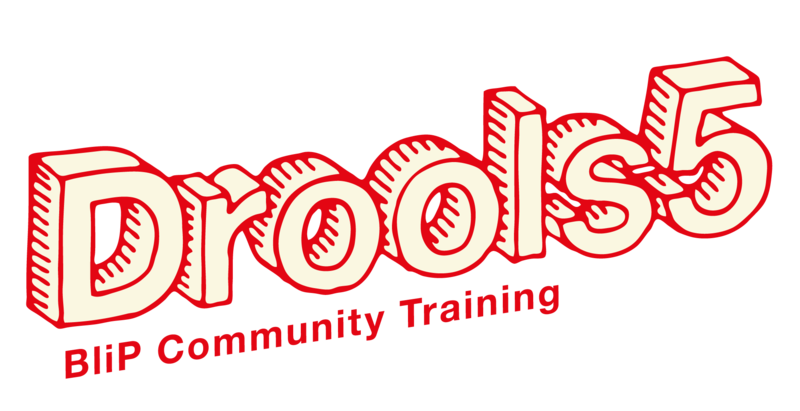 Drools is a community project sponsored by JBoss®. All the material published during this training course is under the Creative Commons License. Will it be possible to share these training material with us, we just start to learn and build a prototype for our new project used internally in the company. Yes that’s our intention, we will publish the material trying to follow the roadmap that we propose. We are a little bit delayed at the moment for personal issues, but if you want some inmediate help don’t hesitate to write me privately. Buenas tardes Sr. Mauricio, mi nombre es Gustao Delgado, me desempeño como Arquitecto Jefe para un desarrollo en nuestra empresa el mismo usa joboss seam 2.2.1 como framework y queremos que los procesos de negocio queden en jbpm y las reglas de negocio en drools. Sin embargo ha sido cuesta arriba conseguir buenos ejemplos de integración de Seam con ambas herramientas. Nos parece arbaro el training de jbpm 5, sin embargo no hemos logrado accesa al de drools 5. Le vamos agradecer mucho si nos ayuda en cuanto a decirnos si conoce donde puedo conseguir trainig para mi equipo en internet, ya que en venezeula no existe que sepamos nadie que lo de. Muy agradecido de antemano. Gracias por escribir. Tanto el training de Drools como de jBPM5 son esfuerzos comunitarios que hacemos fuera de nuestro horario laboral. Lo cual significa que los tiempos de publicación se pueden alargar considerablemente dependiendo de cuanto trabajo tengamos. Si bien nosotros queremos publicarlos urgente, no siempre podemos dedicarle el tiempo que necesitamos para tener un material publicable. Con respecto a que no conoces a nadie en venezuela que de los cursos, no debería ser un problema, nosotros estamos en argentina y con muchas ganas de viajar para dar este tipo de cursos/workshops :). Excelente, pues hagamos algo. Seria bien interesante que entonces cuadraramos más en detalle y ver costo de los cursos, mi equipo es de 12 personas aproximadamente y pues como te dije queremos ver jbpm + drools. si quieres podemos quizas tener un conference por skype y cuadrar detalles, de esta manera yo ver como hacer espacio en el presupuesto para esto. Me parece perfecto, me puedes escribir un mail privado asi tengo tu contacto? Mi mail esta en la seccion de Contact Me. Gustavo, perdona mi falta de comunicacion pero podrias escribirme tu a mi mail privado? Has recibido el contacto por parte de alguien de nuestra empresa? Buenas tardes he escrito al correo de gmail y no he tenido respuesta. Quedo al pendiente. Hoy le he escrito nuevamente a gmail desde mi cuenta de gmail. Just a follow up as Module # 3 was due on March 24, are you going to upload this week? Would be great to get more of those… maybe also Drools Guvnor? Guvnor is ok.. I will add that when I have some time to work on it, but I strongly believe that you should understand the engine before opening or start playing with guvnor. If not you will get confused pretty quickly. Hey Salaboy, You have done an awesome work here!!! I just understood what Rete algorithm means and how the whole rule engine works! I am just a beginner and now trying to work with BRMS console, creating models( also exported pojo models) and wrote some rules inside and they call brl file. I also took a snapshot of it and opened up in IDE through guvnor repository. My next step is how can I execute those in IDE may be in a java application or a web application?…. Whatever suggestions or references you can give will be great for me..
You should use the API and a changeset to use your exposed packages. Check the examples in Github. i actually ran java applications using the API and rules which were coded inside IDE. Then I moved on to BRMS. Created the rules there but cannot understand how the integration part is done. will that example help me?